Tero Nauha was in the first cohort of students to undertake the national doctoral programme in artistic research at the Performing Arts Research Centre of the Theatre Academy at University of the Arts Helsinki, Finland. At ADiE’s Talking Thinking Dancing event, 7 June, Nauha presented the latest incarnation of A Performance from Fictioning – an inquiry on positions, decisions and postures of performance. 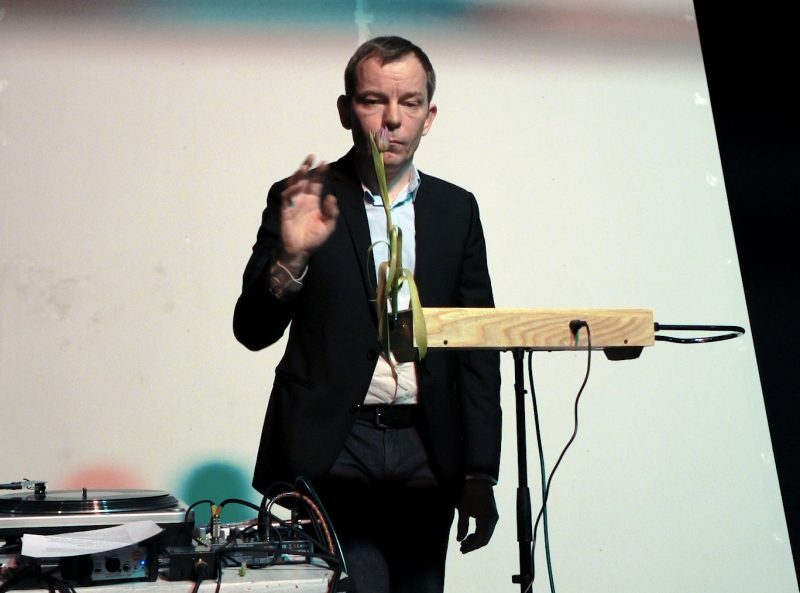 In his artistic practice Tero Nauha explores how performance can challenge discursive forms of thought, such as philosophy. By bringing a constantly shifting ‘apparatus’ on stage he moves away from economically determined realms. In this relational space the potentials formed by the organic and inorganic and the material and immaterial constantly assemble meaning, but still refuse to be attached to production or consumption. How can performance exist without relying on positions and capture? How does performance think what it is performing, and perform what it is thinking? The infinitely incomplete processes elude all hierarchic and linear organization, creating a rhizomatic machinery of constantly shifting and transforming potentials. A conversation between Tero Nauha and Leena Rouhiainen (FI). In an extended interview / conversation Professor Leena Rouhiainen explores with Tero thoughts about how the doctoral experience may change an artist’s practice. The discussion reveals an evolving practice and a post-doctoral perspective.